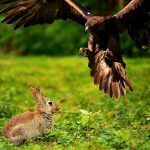 There are many myths and misconceptions surrounding what a bunny can and cannot eat. 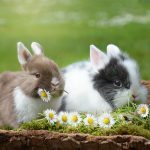 In a number of forums, people have said that rabbits can survive on a primarily hay and grass fed diet, or others say that small amounts of pellets are necessary and rabbit pellets can be substituted for dog or cat food. 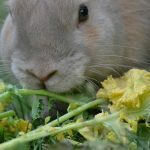 To put some of these myths to rest, a rabbit will thrive when fed a balanced diet of fresh hay and grass, fresh and clean water, quality pellets as well as a variety of fresh vegetables. Anything outside of these items can be considered either dangerous or treats. A rabbit receiving an improper diet can lead to intestinal problems that may be costly to reverse or lead to the untimely passing your beloved pet. As mentioned above, outside of the basic components of a balanced rabbit diet, anything outside the specified items will be considered additional treats. In the wild, rabbits will only consume fruits during certain times of the year. Fruits are considered the rabbit candy of choice for most pet owners. This is because fresh fruits will, more often than not, be healthier snacks than those that you can purchase commercially in pet shops. 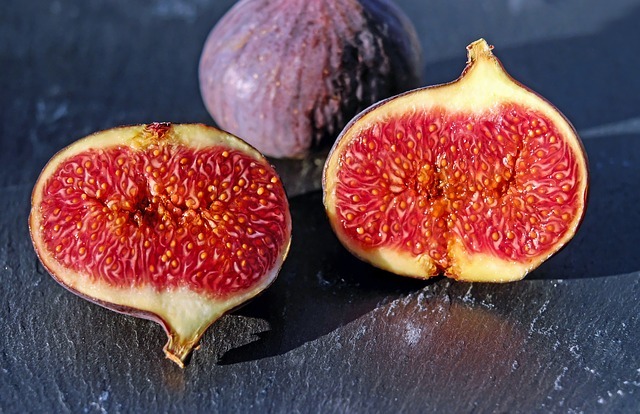 When food, whether meat, vegetables, or in this case fruits are dried, this will decrease water content as well as nutrients making the sugars become more concentrated. This would mean the weight for weight of dried fruits and vegetables will then contain more calories. Fruits contain a high amount of sugar, which isn’t a very important part of a rabbit’s diet so as a general rule; you should stick to a maximum of about 1 tablespoon or the length of your thumb of fruit a day. Dried fruits are another issue; dried items will contain more sugar than fresh ones and should be given very seldom. If given, ensure that these are really small amounts and your bunny will not get used to it. 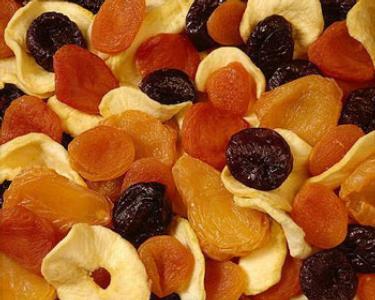 Dried fruits purchased in your local grocery store will have added sugar for preservation purposes, and also to have an additional flavor factor. 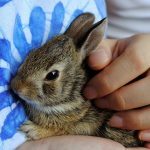 Fruits (and vegetables) should not be given to rabbits that are less than 12 weeks old. Good choices of fresh fruit include apple, apricot, banana (not too often), cherries, peach, mango, plum, pineapple, papaya, apricot and berries. Make sure not to feed your bunny the fruit seeds or pits because these are toxic. Don’t be taken in by commercial rabbit “gourmet” or “treat” mixes that are filled with dried fruit, nuts and seeds. 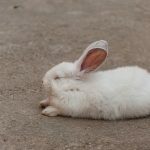 These are not appropriate or safe for rabbits, rabbits are strict herbivores and the high fat, carbohydrate and sugar content may damage your rabbit’s liver leading to severe intestinal disorders. Fruits, limited to 1 to 2 quarter sized pieces; some would say daily, others weekly, should not be given if your rabbit is on a diet or experience soft stools. Fruits high in sugar should be given sparingly and in even tinier portions, usually 1/4th slice. Bunnies are known for their sweet tooth and without your awareness and discipline, they can and will devour sugary treats sacrificing healthier items because of taste. As a pet owner, it’s up to you to ensure that your pet is on a healthy diet. Owners are in charge and decide what is purchased and served so the responsibility lies on your shoulders. 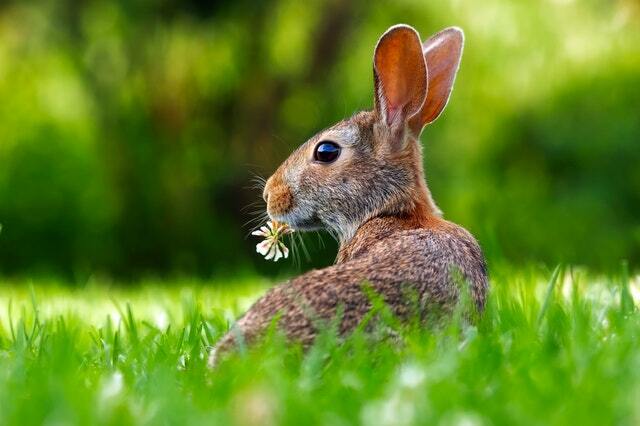 Rabbits should mainly eat grass or hay as well as some leafy greens and small/ measured amounts of pellets. Hay is not only for bedding but it should be their main source of food and available at all times. Aside from being nutritious and good for your rabbit, it’s also a source of enjoyment when rabbits are able to play around in hay. This should be provided in unlimited sources and for adult rabbits, this comprises about 75-80% of their dietary requirements. It is a great source of fiber, protein, vitamins, and minerals. 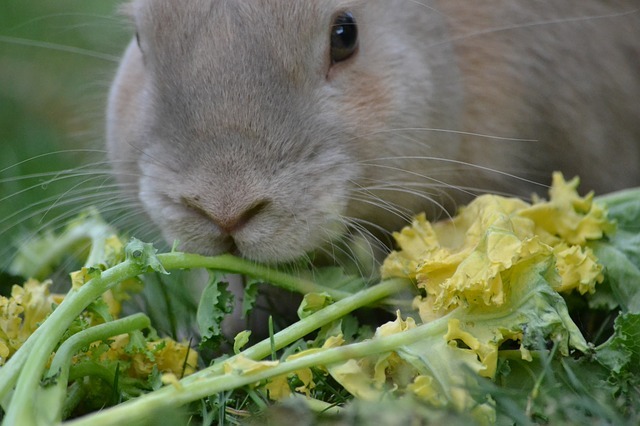 Rabbits should be provided a variety of leafy vegetables; some of the more popular vegetables given by owners are carrots, broccoli, peas (leave them in the pod), spinach, kale, Asian bok choy, Brussels sprouts, cabbage, green beans, cucumber, and fennel. 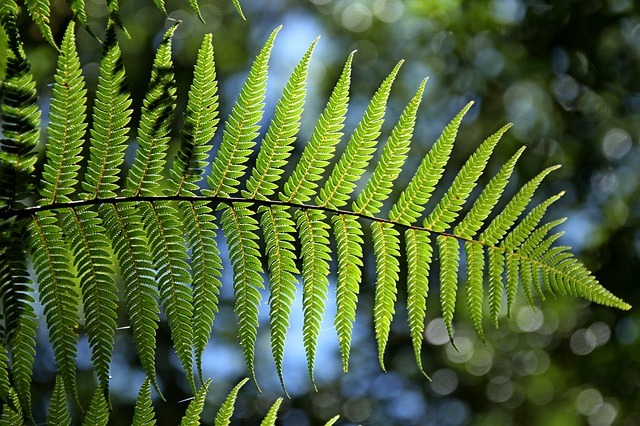 Popular Herbs are parsley, basil, coriander, mint, and dill are very popular. Before feeding one of these please check which ones are high in calcium and oxalates and which ones are not. 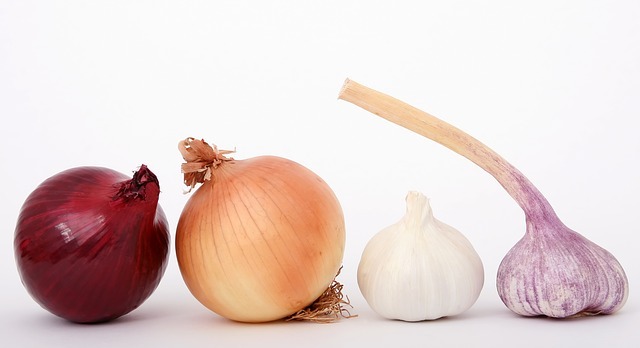 Try and provide a selection of at least three different vegetables and introduce new vegetables gradually. If there is a bad reaction, stop the new item immediately. 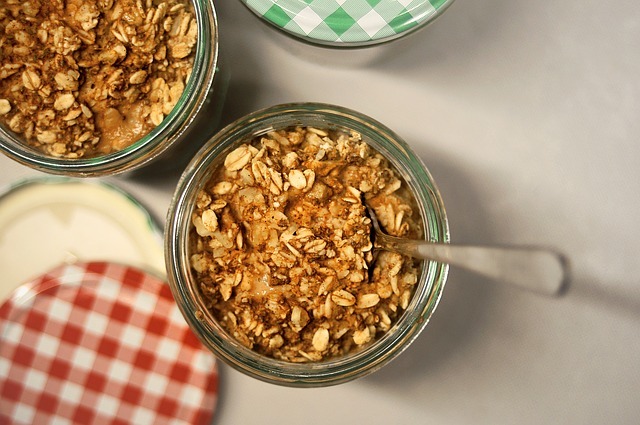 Portion size depends on the size of the rabbit, but, about 2-3 cups a day should be ok. Select high-quality pellets that have at least 20% fiber with low protein. Always make sure to check the expiration as rabbits have sensitive stomachs. Stock up on a monthly basis to ensure that it will not spoil. Can rabbits have dried honeybush or dried marigold? There is a tea that ONLY contains that i saw them mux and put it in the bag so they are both dried and i was wondering if it would be alright to sprinkle some in their hay?Because i have seen people feed their rabbits herbs…. there is no (added) if any suger at all. Can I Feed My Rabbit Dog Food?